I didn’t grow up eating asparagus. The first time I had it was when I was an adult and I made it for my family. Luckily, I loved it and so did most of our family and it became a common side dish in our home. During the springtime, we make asparagus recipes quite often, because the prices are so low when it’s in season. For example, this week, our local Smith’s store (Kroger) had it on sale for 88 cents per pound! Some of our favorite asparagus dishes are our Shrimp and Asparagus with Lemon Sauce, Mini Frittatas in a Jar with Asparagus & Pancetta for breakfast or brunch, and another easy side dish: Orzo with Black Olives and Asparagus. 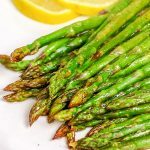 To make this Oven Roasted Lemon Asparagus Recipe, you’ll only need 5 ingredients: asparagus, olive oil, lemon, salt, and pepper. The steps are so easy too. 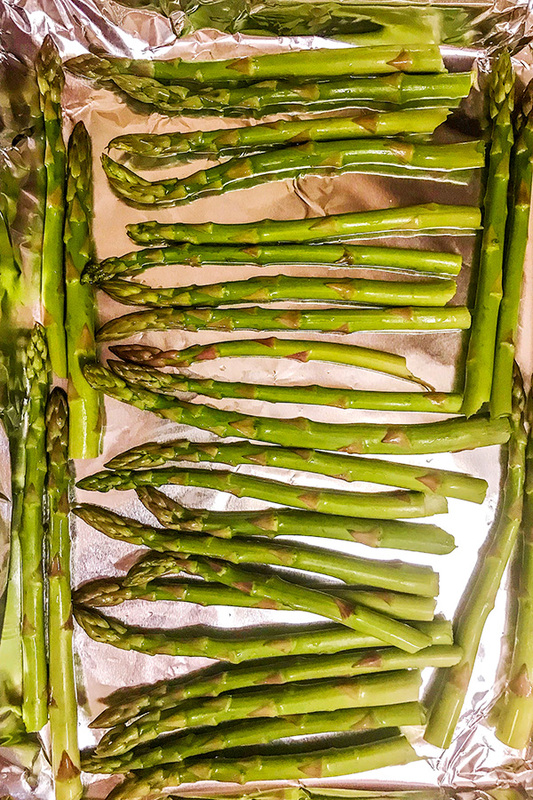 After washing your asparagus stalks and trimming off the hard woody ends, you place the stalks in a single layer on a baking sheet. 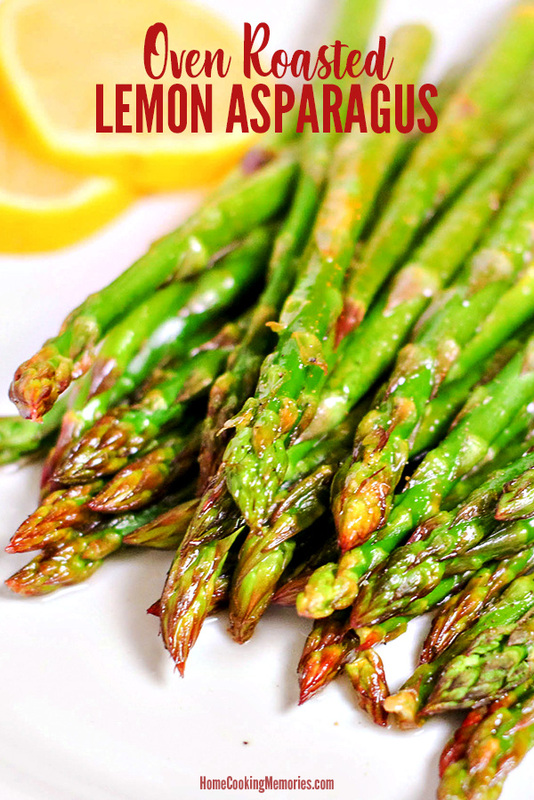 Drizzle the asparagus with the olive oil, squeeze the juice of half of a lemon over it, and season with salt and pepper. 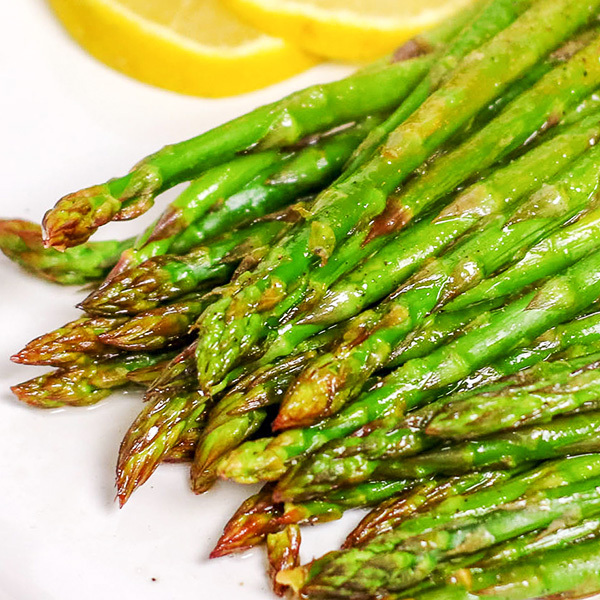 It’s then placedin a 400 degree F oven and roasted for about 10 minutes or until the asparagus is tender when pierced with the tines of a fork. Once it’s done, it’s ready to serve! We most often enjoy this as a side dish for dinner, but it’s also delicious served with brunch or lunch. 1. Preheat oven to 400 degrees F. Wash asparagus and snap off the woody ends. Place on a rimmed baking sheet lined with aluminum foil. 2. 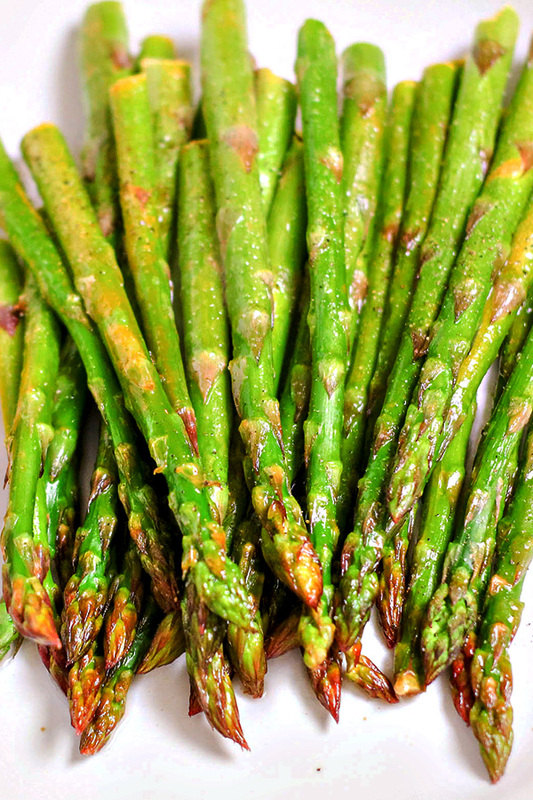 Drizzle olive oil over asparagus. Then, squeeze the juice of half a lemon over the asparagus and toss to coat. Sprinkle with salt and pepper. 3. Place in the oven and cook for about 10 minutes or until tender when pierced with a fork.